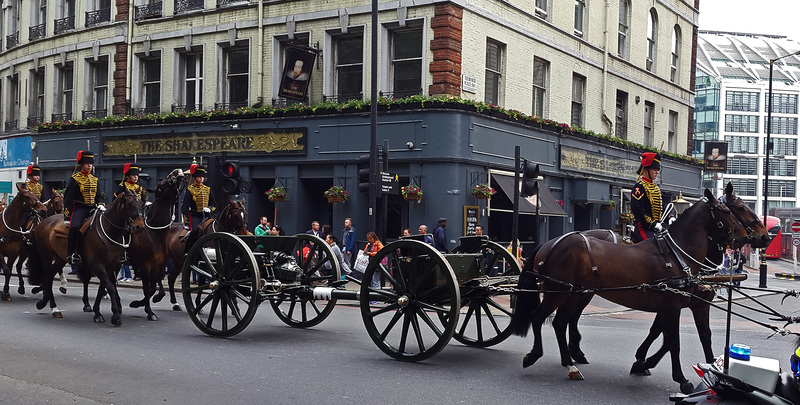 You never quite know what you are going to encounter when you venture into central London. 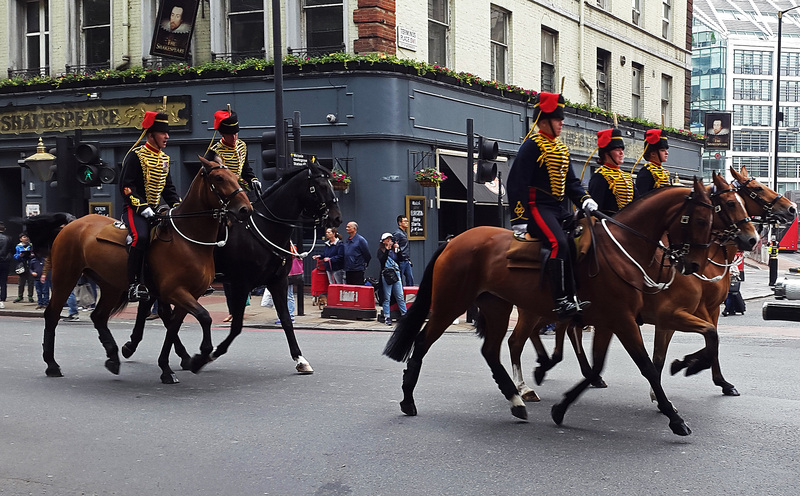 A week ago Sue was off to a meeting in Oxford but all the coaches were delayed due to a rehearsal for the trooping of the Colour parade, which takes place on or near the Queens Birthday. Here the Royal Horse Artillery, whose responsibility it is to fire royal gun salutes, pass Victoria Station (and Sue’s coach stop) on their way back to Barracks.